Loyalty systems were some of the first marketing technology, dating back 35 years. Now, these legacy systems are showing the strain. Enterprises everywhere are migrating to microservices in order to reduce costs, increase agility and to achieve more with their data. Making the same progress in loyalty has been much more difficult. TechCrunch reports that brands such as Airbnb, Disney, and Twitter have seen a 75% reduction in development lead times by migrating to microservices[i]. Change has been easier in these new categories because most were always designed to be modular by nature. Change in the legacy loyalty platform, on the other hand, has been difficult and expensive, because the vendor must be supportive, if not fully engaged for nearly any desired change to functionality. We estimate that almost 30% of the total cost of a loyalty program goes to cover the cost of maintaining and enhancing these systems – value that cannot be passed on to customers. To an extent, these old systems continue to work, making it hard to build a business case to replace them. As a result, vendors such as Oracle, Comarch, Kobie, Epsilon, Unisys, and perhaps another dozen have been able to maintain their installed base among the largest loyalty programs, while another hundred vendors provide stand-alone solutions to medium and smaller companies. Fortunately, modular microservices now exist for loyalty – so the remainder of this article lays out alternatives to help loyalty marketers maximize opportunities in what will likely be a hybrid environment for many years to come. Failing to act will have long-term consequences. As future technologies such Artificial Intelligence (AI) make inroads into loyalty, you will only ever be able to take advantage of them as quickly as the supplier, or your internal IT department can respond – and this is unlikely to be quickly. Furthermore, if your own brand doesn’t take advantage of microservices, others will – increasing their competitiveness. Today, no brand need submit themselves this risk. This is now at odds with a current, universal marketing priority, which is to get all customer data into a single enterprise CRM platform, and to cultivate a single source of truth about all customers – which all other microservices can integrate with. The legacy vendor may not even permit you to get data out of the loyalty platform and into your primary CRM, or vice versa. …Hatch loyalty. This SaaS loyalty solution has a particular focus on building rich customer profiles, and is pitched as a “simple, adaptable, nice-to-use technology platform designed to help you build stronger relationships with your customers.” Hatch has particular experience in the fuel and convenience-store sector. A little Google searching, or looking at the Gartner Magic Quadrant for those vendors who pay Gartner to be on the list, will reveal others. The point is, enterprises need to get all their customer data into one CRM if they want their analytics and personalization functionality to work as well as possible. If that CRM is independent of your other loyalty modules, that will unlock much greater agility in setting up and driving omnichannel campaigns. Loyalty is earned by the customer’s cumulative experiences with a brand, across all its touchpoints. This makes convergence on a single CRM platform and single Campaign Management system of paramount importance to maximize coordination of tone, timing, and content that gets sent to customers. Otherwise, if your company has multiple systems all sending messages, how do you control the degree of marketing pressure you are exerting on each customer? Brooks Brothers wins the prize for worst marketing pressure management – probably because they have numerous systems running in parallel. Just about every year, I purchase shirts from Brooks Brothers in-store in the USA; and it appears they automatically subscribe you to every campaign they run. In August and September, every year for the last three years, I have received at least 40 promotional offers before unsubscribing. I had just bought six shirts and didn´t need a dozen more. Furthermore, I live in Spain and most of their offers were only valid in the USA – where I can´t easily shop in-store, or the shipping cost would erase the value they were offering. Unfortunately, brands are often forced to send out messages from between two and five different legacy systems, based on partial sets of data, stored across multiple databases. That makes it difficult to prevent any single customer getting bombarded by messaging from different sources, which causes disengagement and unsubscribes. And, it makes it difficult to measure the customer´s engagement if they respond in any way. It is also restrictive from a campaigning standpoint: making it harder to take advantage of your whole marketing inventory for loyalty purposes, or to compare how different segments are reacting to different marketing efforts across different channels. In fact, if you are A/B testing campaigns, the sending of messages from multiple platforms almost certainly has a correlating effect on customer response actions. Responsys can be used to “plan and set up automated campaigns, conduct more comprehensive A/B testing, plus produce all sorts of reporting, analysis and optimization which can be shared with different business units”. The more sophisticated platforms enable dynamic communications in response to customer activity, inventory and other triggers identified across any microservice in your enterprise architecture. At its most fundamental, the Points Bank records earning and redemption transactions – so it’s more likely to be required if you have a points/miles based rewards program. But even if you don’t offer reward points, you can still assign scores to different touchpoints and behaviors, and use the Points Bank to measure levels of engagement across your marketing ecosystem. Many organizations have attempted to build Points Banks from scratch. However, most brands’ forays into proprietary Points Banks have not been successful. Currency Alliance has refactored out a points bank system three times to deal with such complexities, and we would not wish this pain on any brand. A few vendors have launched a blockchain-based Points Bank – but in most cases they force you to embrace their loyalty token currency. Of course that means that customers could earn at one grocery store and redeem at a direct competitor. GlobalMiles’ blockchain offering presents a similar problem if their currency is embraced, but their collection mechanic – the ability to integrate their platform into POS devices so retailers can easily identify the customer and issue loyalty points without an ugly integration effort – is laudable. For brands which require a dedicated Points Bank as a microservice, Currency Alliance can help. Our platform can be used either as your brand’s sole Points Bank, or as an extension of your main Points Bank. The biggest problem for established loyalty programs has been the integration cost (and significant investment in time) of adding partners – if they must be integrated into the primary Points Bank. The Currency Alliance platform can be used to decouple those partners, and their related transactions, making integrations quick and low cost, while all transactions are still processed in real time in the primary Points Bank – so the loyalty program operator has total control and visibility over every transaction with every customer. For example: British Airways, Iberia, Aer Lingus and Vueling all issue Avios, and the vast majority of those transactions are recorded in their proprietary Points Bank. However, a partner can access Avios and issue them to common customers through the Currency Alliance platform – which captures incremental transactions via an API and then injects those transactions into the primary Avios Points Bank. The advantage of this is that Avios Group does not need to integrate with every new potential earn or burn partner. Rather, those complementary brands can access Avios via the Currency Alliance API. The Currency Alliance platform is also agnostic as to where the underlying transactions are stored. They could be recorded in a legacy system, in the Currency Alliance environment, or on various blockchains. Loyalty transactions should end up in one primary points bank, but allowing them to get there via multiple communications paths is liberating for a loyalty program because many historical constraints simply disappear – opening many new customer engagement and partner collaboration opportunities. Whatever Points Bank (or hybrid environment) you choose to operate, you will derive significant advantages from choosing those that operate as a microservice, because such decoupling greatly increases flexibility in adapting the rest of the architecture to evolving business requirements. It also gives you the flexibility to embrace additional loyalty currencies that your customers may desire. For example, a hotel chain could define a rule that granted 2% of a customer’s total spend in the form of points. They could go further and state that Gold members should get 3% and any stays on a Sunday received an extra 1% bonus. Brands need the flexibility to adjust these rules on the fly, but this is complicated when the Rules Engine is tightly bundled with other platforms. The loyalty rules can also be programed in the customer-facing platforms – such as apps, websites, point-of-sale devices, or even smartwatches, but that means every time a change to the rules is desired, all these distributed systems need to get updated software. It is becoming more common that the loyalty rules are now managed in the backend, or on the server side. This means that, when new insight emerges in customer-facing platforms, rules can be modified or added, and points issuance can be varied, without any changes to the software provided to customers. The loyalty team simply needs to change the ´input´ variables to drive the desired customer behavior. A brand might also want to work with multiple Rules Engines – possibly provided by different vendors or even a mix with some developed in-house. Some brands might have a Rules Engine developed many years ago that is used for transactions coming directly from their points of sale. These brands may wish to incorporate new channels, such as mobile apps or partner platforms, or to encourage non-purchase activities. Currency Alliance’s Rules Engine makes this quick and easy. Every loyalty brand has frequent customers, who accumulate enough points to redeem for valuable rewards, as well as a majority of customers that will never reach the most motivating items. That second category still needs to be offered something of interest. In practice, most brands offer their own products or services on their own search and booking pages, and then offer complementary offerings from a program partner on a white-labelled Redemption Catalog. Bundling a nicely merchandised Redemption Catalog has been expensive to implement for any one brand, so most loyalty programs offer a third-party Redemption Catalog framed into the loyalty platform. Choice Hotels has done this with great success, positioning its Smart Privilege program as “A Faster Way to Rewards”, allowing customers to select perks such as $2.50 Uber credit or a $5 Starbucks voucher as they check into the hotel. The benefits are immediate: even low-frequency customers feel the benefit of staying active in the program. Smart Privilege claims this approach has led to a major boost in enrolment[ii], as well as in engagement metrics. Specialized vendors include TheFirstClub Digital Rewards – “low cost, high value snackable rewards, allowing brands to say thank you easily and often to anyone”. The platform can be white-labelled under your brand with a custom URL, and you can deselect content categories that you don’t think will appeal to your customers. Firstly, they handle content aggregation and fulfilment, saving brands a major headache in catering for large numbers of low-frequency customers – whilst still ensuring those people are made to feel special. In short: you treat points more like money, and redemption opportunities become infinite – helping you cater for the greatest possible number of customers, with the most relevant rewards, based on the most recent data, at the most profitable value every time. Really, though, that level of investment is likely to be better funnelled into bigger rewards for customers – a free supermarket shop, free flight or free hotel – which can be processed through your existing transactional environment. 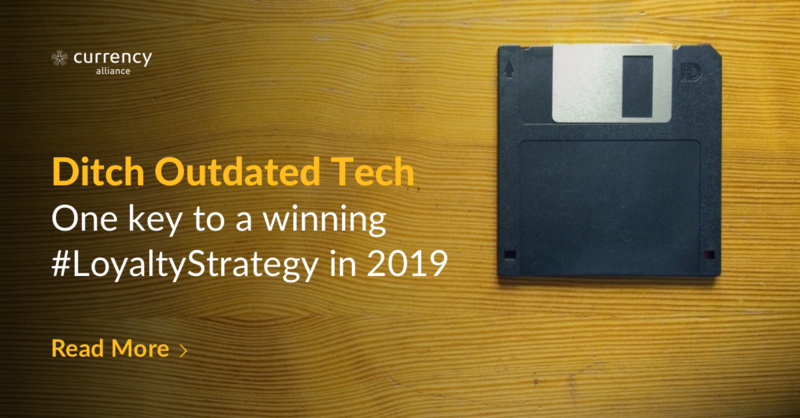 At the current rate of technical change, it is mission-critical for brands to be able to take full advantage of new technologies, and new insights, as they emerge, pursue testing and trial new approaches in order to maintain a competitive edge. This simply isn’t possible with a bundled legacy loyalty system. One study (admittedly sponsored by Blueshift, a vendor), identified a 310% increase in customer engagement in campaigns supported by AI. A separate Adobe survey found that brands using AI tools to create personalized customer experiences were 50% more likely to significantly exceed their business goals. Existing, monolithic loyalty tech providers will doubtless build AI or machine-learning tools into their platforms, but it would be a shame to have to wait – not to mention, get locked out of the wide range of different, exciting new technologies appearing on the market because you are wedded to a single technology supplier. For the greatest flexibility, agility and customer relevancy, brands should operate five complementary, but distinct loyalty modules: working in unison, with data insights being shared between each one, and used to inform and shape a wholly more effective, inclusive loyalty strategy. Data from across the business – both marketing insights, and business-centered information such as inventory, demand and other indicators – must be used to grow a loyalty program that appeals to more customers, and drives a whole range of desired customer behaviors beyond simple transactions. Meaningful case studies may be few today, but that won’t last, as brands begin to experience the benefits of a more agile, intelligent loyalty strategy – enabled by agile, intelligent tech. Tied down by your loyalty platform? Our core business is in loyalty partnerships: allowing brands to issue the loyalty currencies most desired by customers. Many partners have integrated into our platform in 3-5 days; and with a single integration, can access a rapidly growing network of partners with whom they can collaborate to meet customer desires, while capturing richer customer data to really understand lifestyle preferences. Currency Alliance is not opposed to legacy technology. In fact, we can enable those platforms to be seen as much more flexible – simply by adding a layer of cloud-based, flexible technology in front of them to enable greater collaboration in broader ecosystems. Currency Alliance continues to be the only provider of a microservices Points Bank platform that can stand alongside, or work in unison with your existing Points Bank. The platform also includes an enterprise-scale loyalty Rules Engine for your partners that do not have their own loyalty system. This can set you free to choose the CRM, Campaign Management and Redemption Catalog options that best serve your business. Our platform is basically a tool kit to help you build a highly differentiated loyalty ecosystem that will appeal to your frequent and less frequent customers. Try Currency Alliance for free today.